This sparkling berry apple mocktail requires 3 ingredients: berry syrup, apple cider, and sparkling water. This non-alcoholic drink is suitable for all ages! When I throw a party, I like to make sure everyone can partake in the fun. I’ll usually serve a large boozy punch bowl or a big pitcher of sangria, make a few liquors and mixers available, and have at least two non-alcoholic options. Iced teas, lemonades, and sodas are fine, but they’re so basic. If I choose not to drink alcohol at a party, I still want something fun and exciting in my hand. I want a sparkling berry apple mocktail. 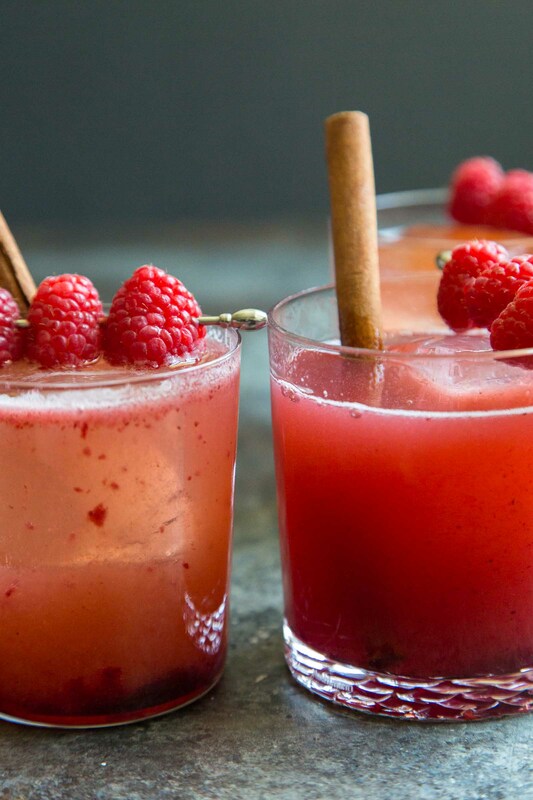 This mocktail requires three ingredients: berry syrup, apple cider, and sparkling water. The berry syrup can be prepared ahead of time and stored in the fridge for up to two weeks. The syrup is made from cooking together frozen berries and sugar. I used a mixture of frozen strawberries, blackberries, raspberries, and blueberries. Feel free to substitute any berries (or berry combination) of your choice. The resulting berry syrup will be quite thick. 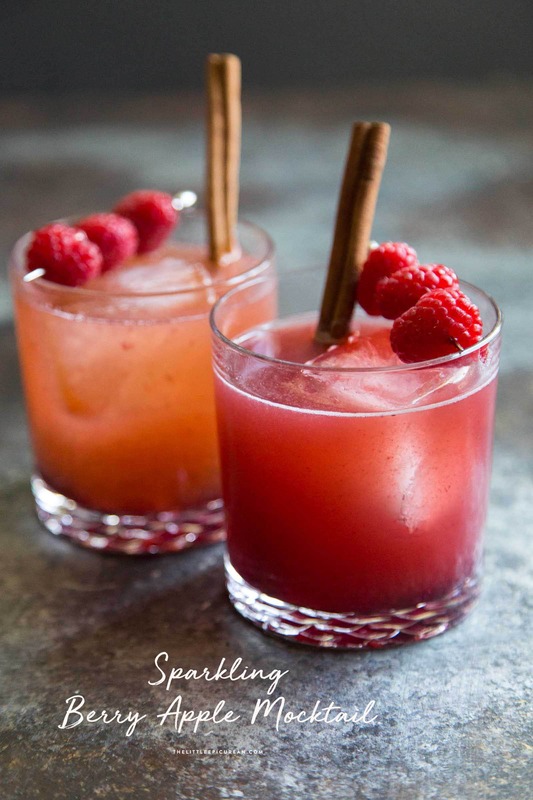 Asides from this mocktail, you can use the syrup to sweetened iced teas or flavor lemonades. With Halloween around the corner and the holidays in sight, this would be a fun mocktail for any gathering or celebration. 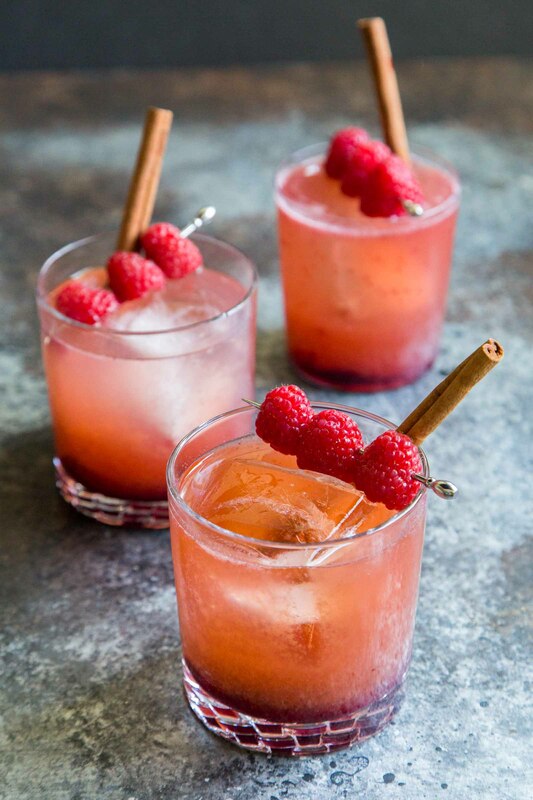 I like to serve it with some fresh raspberries and a cinnamon stick. I pass out the drinks unmixed so guests can see the different layers. 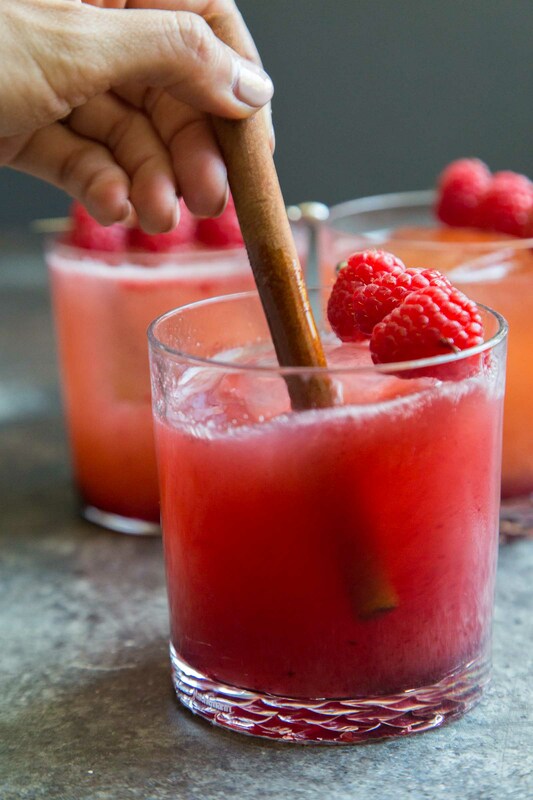 Asides from adding a festive touch, the cinnamon stick also serves as a stirrer! 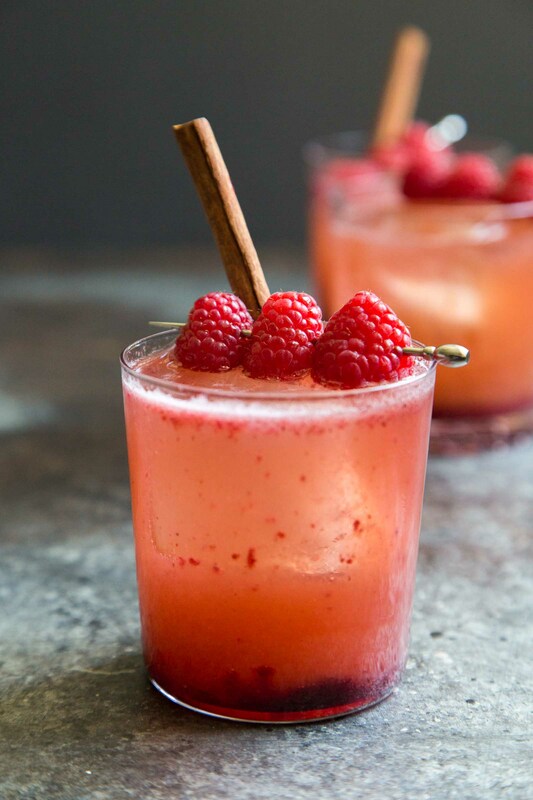 With this mocktail, kids and adults of all ages can partake in this party! CHEERS! 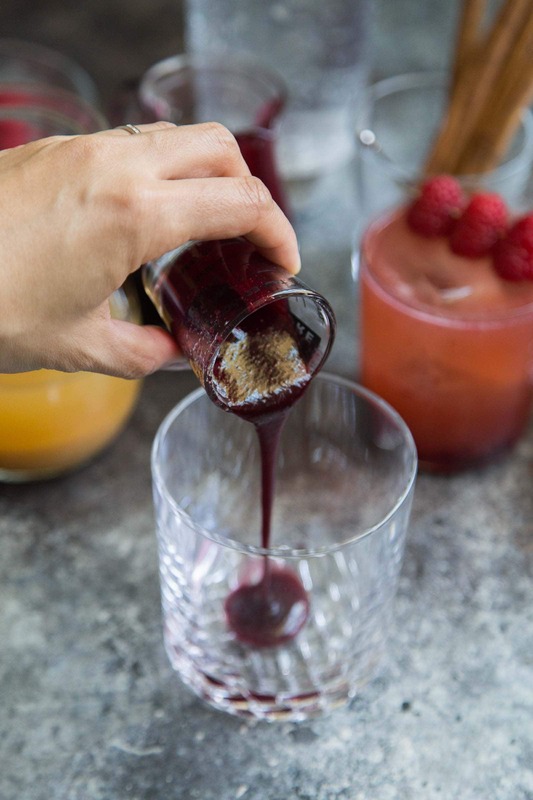 Add berry syrup and apple cider in a serving glass. Add ice and top with sparkling water. Stir before drinking. 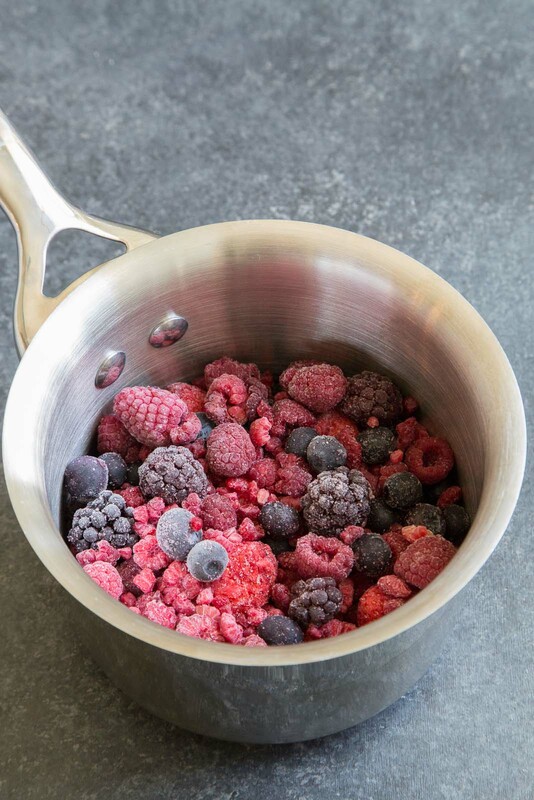 In a heavy bottomed sauce pot, combine frozen berries and sugar. Set over medium heat and bring a boil. Reduce to a simmer and cook until berries have softened and mixture is thick. Strain mixture. Cool to room temperature. Transfer to an airtight container and keep stored in the fridge for up to two weeks. You may substitute any frozen berries of your choice. I used a combination of strawberries, raspberries, blueberries, and blackberries. Mixed berry syrup can also be used to sweeten iced teas or flavor lemonades/limeades. Hello. Thank you for the recipe. How many servings can approximately provide the mixed berries syrup? (12 oz frozen mixed berries, and 3/4 cup granulated sugar). Gorgeous looking mocktail! It sounds so delicious too! Perfect to enjoy at any time of the year!